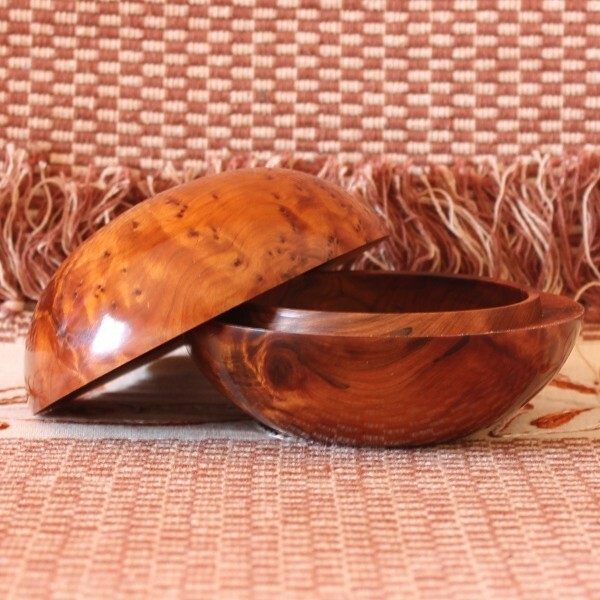 Thuya Wood Pebble Box hand crafted in the woodworkers Souk of the medina of Essaouira, Morocco. Essaouira is famous for its high-quality and unique wood-carving workshops in the woodworkers medina. 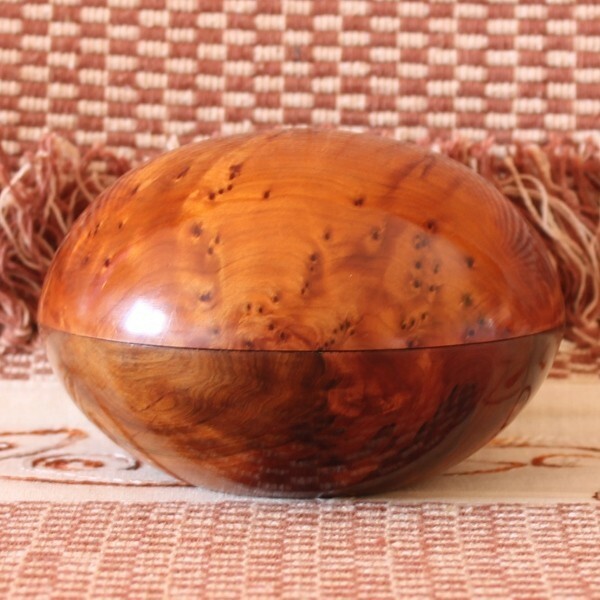 All products are hand made using aromatic Thuya wood. Wood Marquetry of Essaouira, Morocco.